Let the Zoostorm™ Evolve be the focal point for your creativity. This tower is not only stylish and sophisticated; it's smart too. Filled with the latest components it's perfect for editing complex documents, business use, maintaining your social media presence and anything else you do throughout the day. 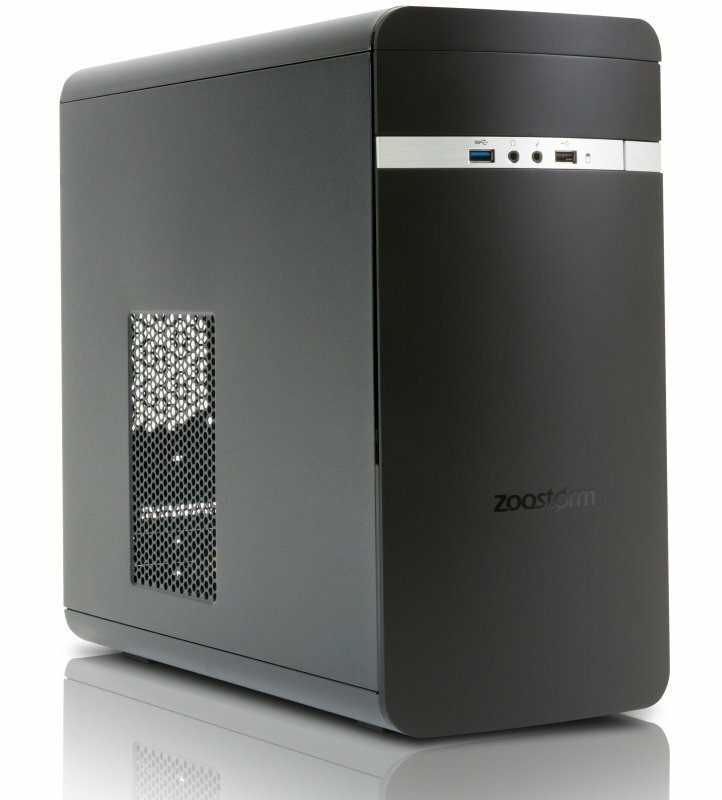 Central to this Zoostorm Desktop PC is Intel's Coffee Lake Core™ i5-8400 (2.80 GHz) Hexa Core Processor, taking performance to the highest level with a Boost in Frame Rate of up to 25% Gen over Gen. Spend more time revelling in the powerful and fluid experience of gaming with Intel Turbo Boost Technology 2.0. Create, edit, and share 4K content with ease, and enjoy immersive, full-screen 4K and 360 experiences.